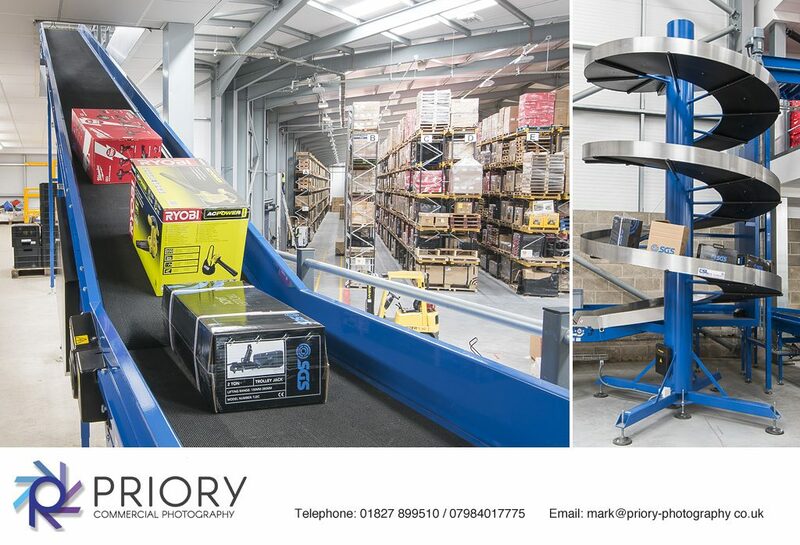 We have recently been photographing for Swadlincote based “Conveyor Systems Limited”. They have recently installed a conveyor system that they needed photographs of for their website. The shoot location was a large SGS warehouse in Derby, only about an hour away from our Tamworth base. On arrival we met up with our client and then spent the morning photographing the conveyors in operation.